The length of a day on Earth is about 24 hours. This is true no matter where you are on the Earth. The periods of daylight vary by latitude, but a day from noon to noon is the same everywhere on Earth. The reason for this is that the Earth is solid, so it all rotates at the same rate. That might seem a bit obvious, but not everything rotates as a solid whole. Take the Sun, for example. It’s a bit strange to talk about a day on the Sun, but we can talk about a “day” as the time it takes for the Sun to complete a full rotation relative to the distant stars (known as a sidereal day). We can do the same for Earth, which has a sidereal day of 23.9 hours. The sidereal day of the Sun depends on what part of the Sun you are talking about. 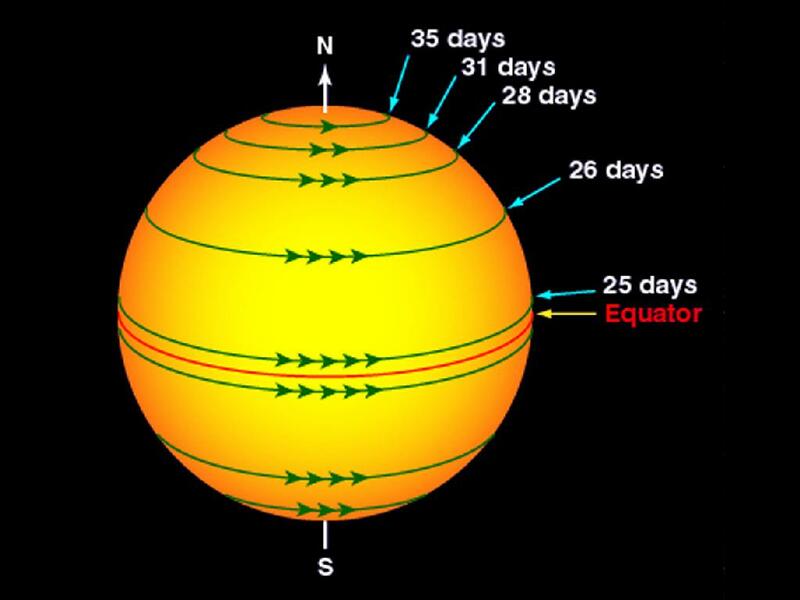 Near the equator, a sidereal day is about 25 Earth days, while near the poles it is about 35 Earth days. The farther away from the equator, the longer the sidereal day. This is known as differential rotation, and is common for stars. It occurs because the the Sun is not a solid object, but is instead a dense plasma. Because plasmas can flow like a fluid, different parts can move at different speeds. Part of the reason for the differential rotation is the way rotation (angular momentum) works. If you relax your arms by your side and spin yourself around, you’ll notice that your arms want to move outward a bit. The faster you spin, the more your arms want to move outward. Spinning objects like to flatten outward if they can. 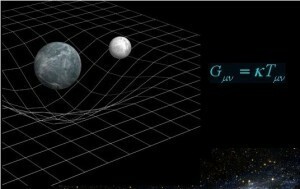 The Sun can’t flatten because of its gravity, but when two plasma ions collide, one can get a boost in speed, while the other is slowed a bit. The faster ion tries to move outward, drifting a bit toward the equator. The slower ion drifts a bit toward the pole. Over time this leads to a differential rotation of the Sun by latitude. Of course things are a bit more complicated than that. For one, the Sun has a strong magnetic field. 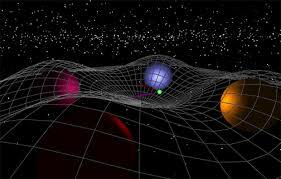 Plasma ions are charged particles, so they both affect and are affected by the magnetic fields. One consequence of the Sun’s differential rotation is is that magnetic field lines are twisted around the equatorial region of the Sun. This occurs until the field lines snap back into alignment, which causes things like solar flares. So the Sun’s “day” is very different from the Earth’s day.